← Three questions and requests. 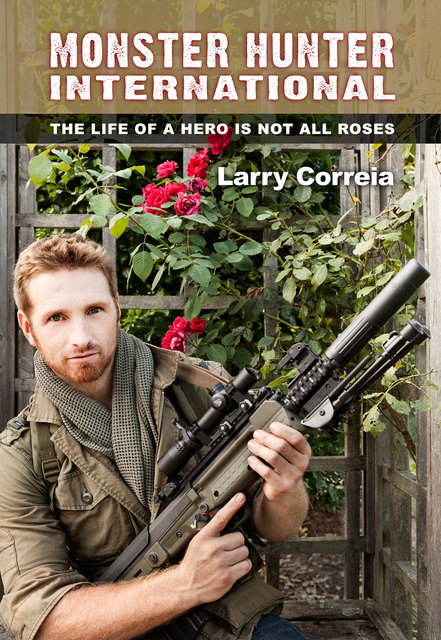 This entry was posted in book, interesting people, rifle, sound suppressor, weapon and tagged character, fantasy, fiction, Larry Correia, Monster Hunter International, science. Bookmark the permalink. Thats not at all how I imagined Pitt. All due respect to your work and to the subject; he looks more like Grant than Owen. Owen bigger beefier and not that pretty. Yes, this guy is WAY TOO PRETTY to be Pitt. I can see Grant though. And too light skinned! Isn’t his Dad Polynesian, and IIRC he had some Mediterranean European relatives?….but its been a while since I read the first book. I agree hes also lighter in skin tone than I pictured. Love your website and pictures, but this is a stretch. LOL. No kidding! I pictured him a bit, er, well let’s just say it: uglier. Not fugly, mind you, but just enough “rough” spots to add grittiness to the character. Ha! I mis-took it the other way: I thought it was a picture of Larry Correia, as you have his name in the upper corner. Think more like Brock Lesnar…only uglier. In a handsome, only-a-mother-could-love kinda way. I mean, he kills a werewolf pretty much with his bare hands. Love those books…when does the movie start filming…I want in! I haven’t read the book yet, but you’ve pretty much sold it to me with that picture! To their website! I concur – that’s Grant. Owen should be much larger, more rugged, and scarred.